Seen from the street the house appears minimal. 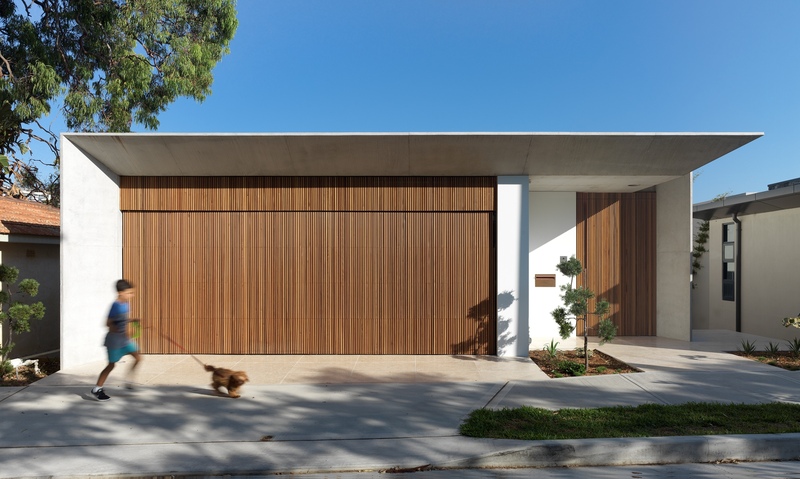 Set on a large block falling towards the harbour beach reserve, many layers of living spaces are revealed as one progresses through the house. Private rooms, a sauna and gym are housed in the southern pavilion, opened to natural air and light via a landscaped courtyard, also revealing some of the rock all this depends on. 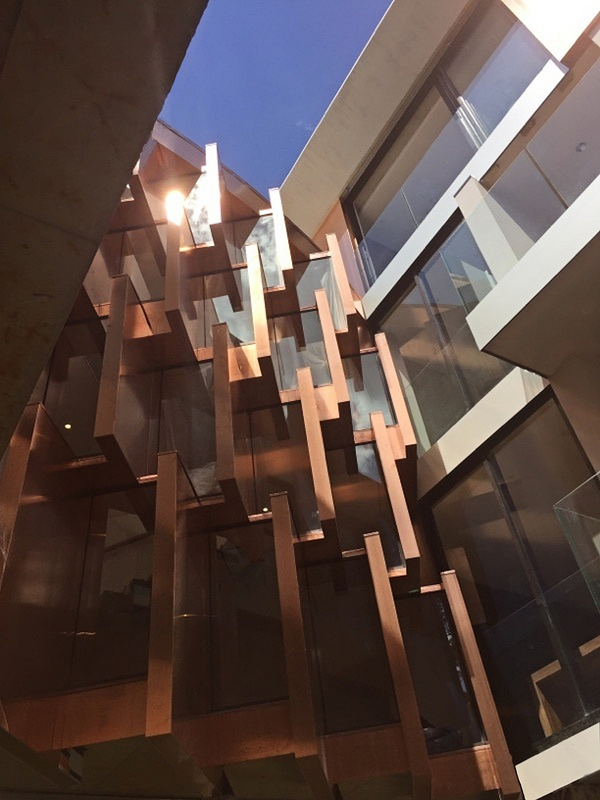 The family spaces are in the northern pavilion, connected to its southern counterpart by a walkway framed with sculptural copper fins filtering the light and encouraging glimpses. Kitchen and dining are on the top floor; while below, the entry level, now sitting high due to the steep fall of the site, offering fantastic views. 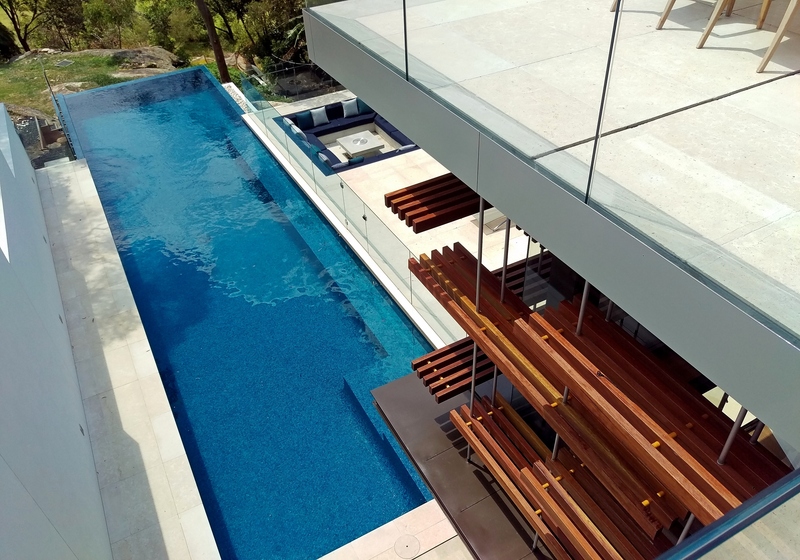 Below this the large living room, empowered by the topography to be a dramatic double height space, connecting to the reserve via a large deck, sunken fire pit and waterfall edge pool. Further to mandatory sustainability measures, the house has been conceived all along to minimise energy use. 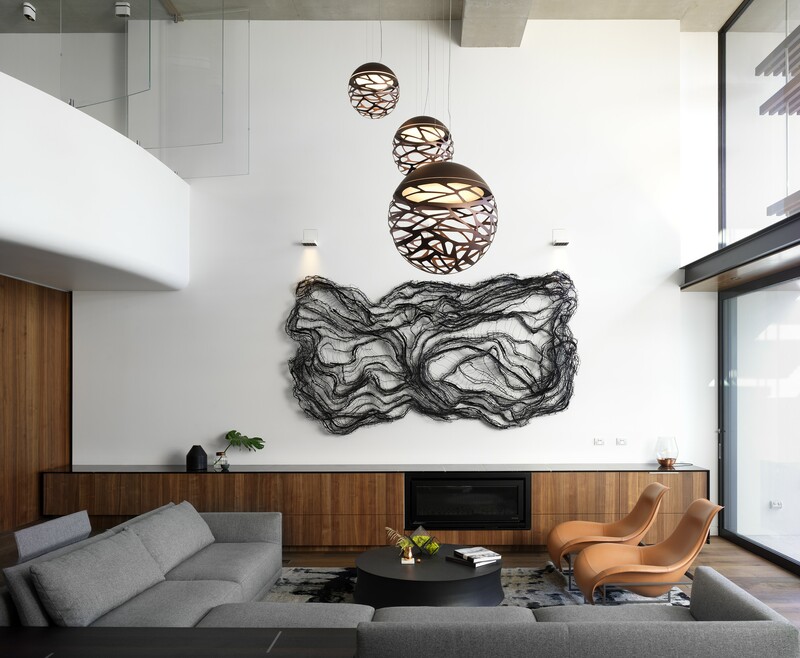 Grouping of rooms around the courtyard plays an important role by providing exposure to natural light and air flow to all living rooms, minimising the need for use of air-conditioning and artificial lighting.